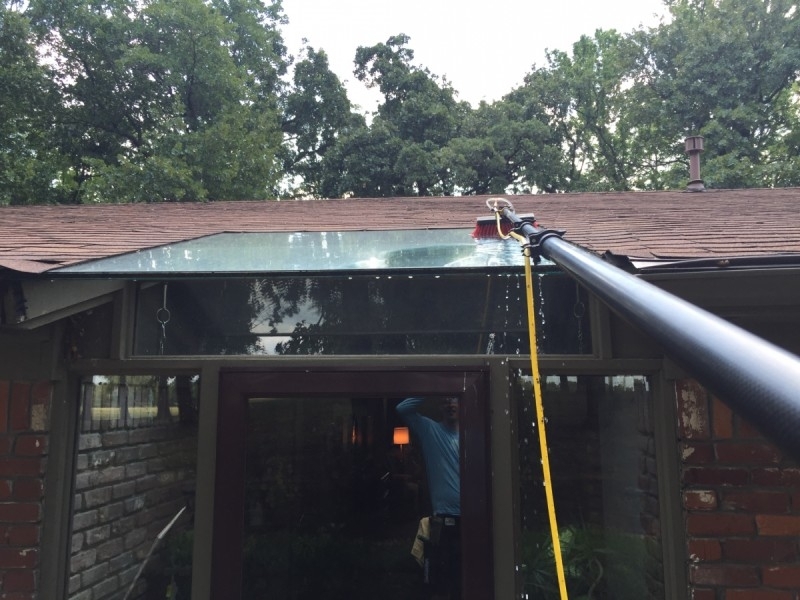 Jennie Finley, Ralph Oliver’s daughter, gave her dad the gift of clean windows in the form of a Christmas gift back in December of 2015. He cashed that gift in last year with us…and I’m just now getting around to uploading this project along with the pictures! 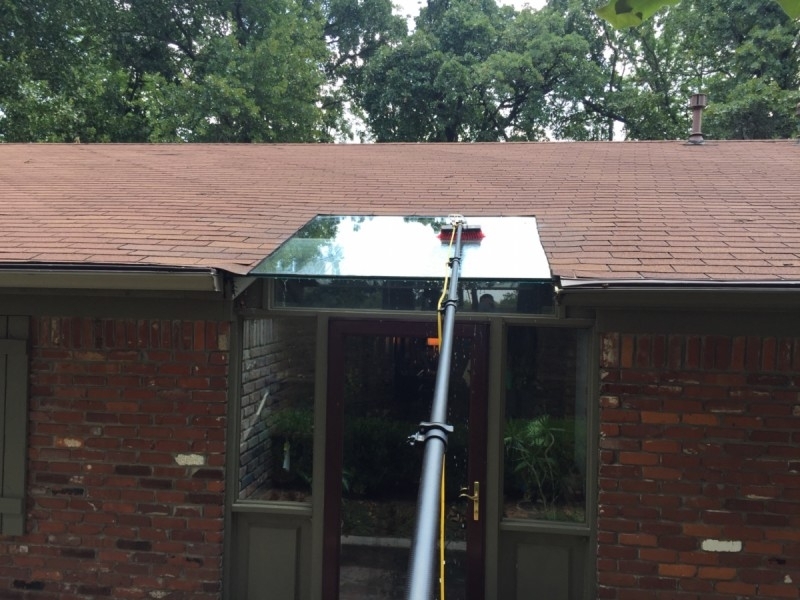 It’s been busy around here, give me a break : ) Out of all of my customer’s, I’ve got to say I enjoy cleaning Mr. and Mrs. Oliver’s windows the most. Not because it’s an easy job, but because of who they are as people. If I had to guess, I’d say they’re in their late 70’s or early 80’s. Some of my most enjoyable conversations have been with these two. They’re just really genuine people with nothing to hide, and no masks to hide behind. What you see is who they are. When I talk with them, I kind of feel as if I grew up in the wrong generation! It’s easier to talk to these two than it is to talk with people my age (twenty-somethings). I can’t wait to get back there, and clean their windows again. 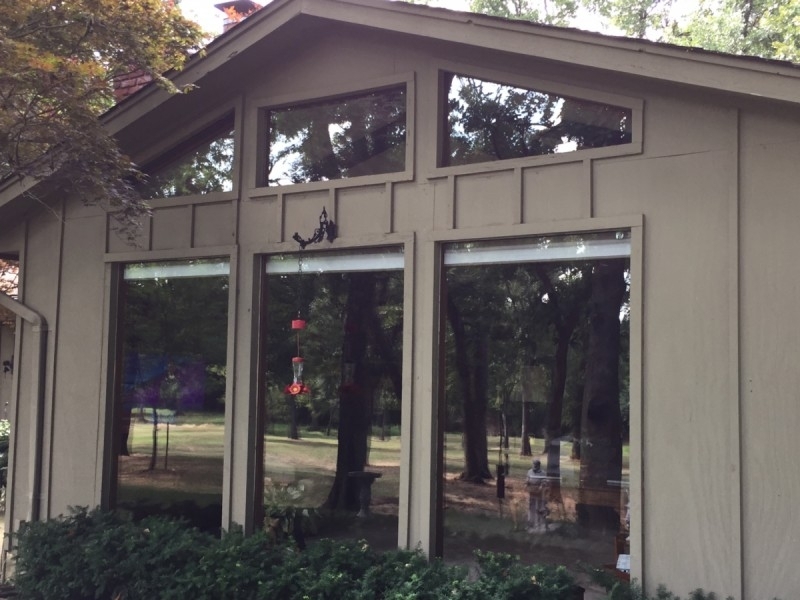 The windows in the picture above are their living room windows, and these windows overlook the pond in the picture below. 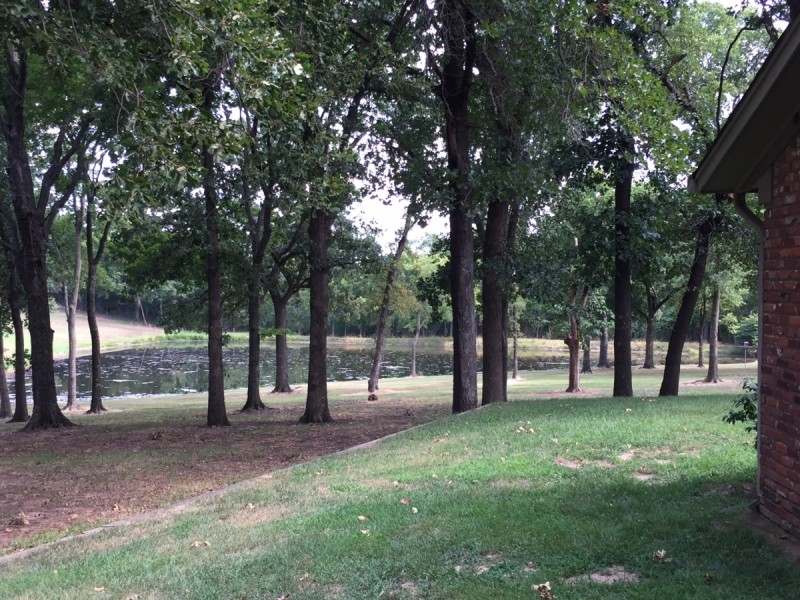 It’s a beautiful area where you’re bound to see a woodpecker, hummingbird, or blue jay. These two pictures show a style window that I don’t come across often. 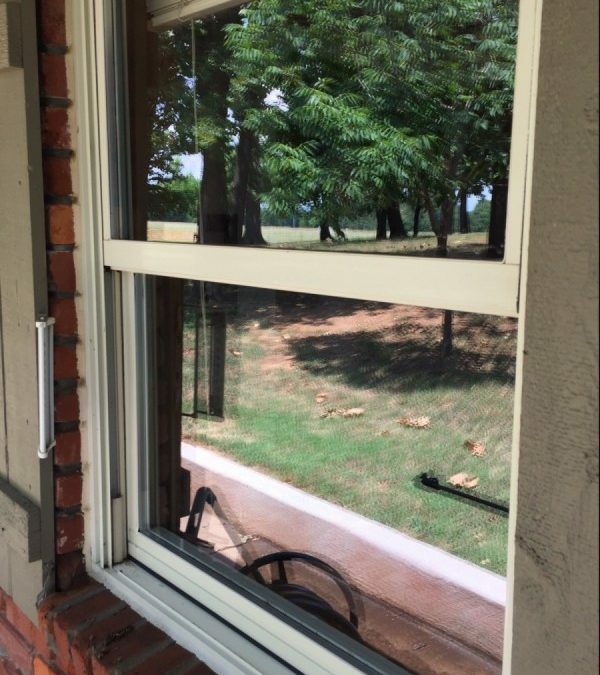 I wish I would have taken a picture from the inside of the house looking out through the window because it’s a really cool window! Half of the window is part of the roof, and is located of the Interior side of the house. The other half, overhangs past the door below it, and extends all the way to the edge of the roof line. 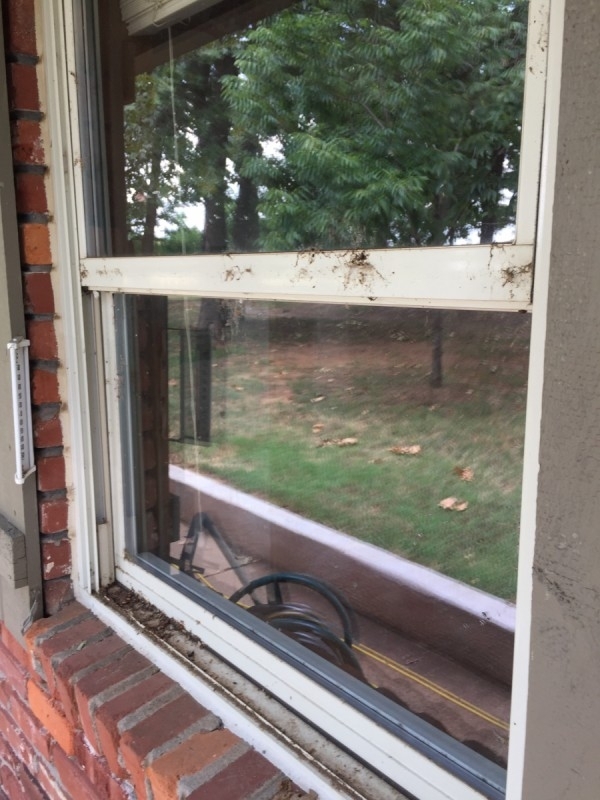 I clean these windows last year and it was the first time I’ve seen the style of window, and I haven’t seen another one since. 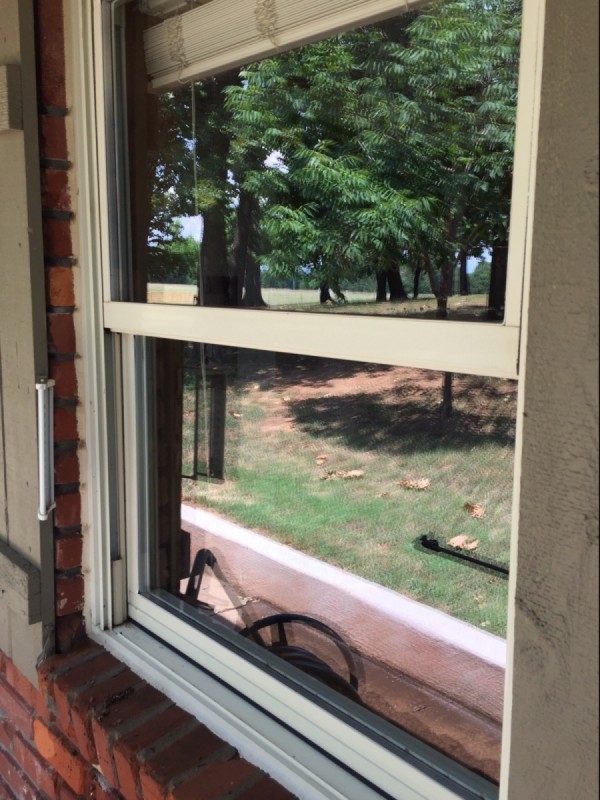 Below is a before and after picture of one of the single hung windows we cleaned at their home.